Written by Alex Vanden Heuvel and Emma Korstanje — Athens has been one of the great towns for music hopefuls since before the days of the B-52s and R.E.M. State Representative Bert Reeves, a Republican from Marietta, introduced on Feb. 10 House Bill 956, which aims to aid the development of the music industry in Georgia. 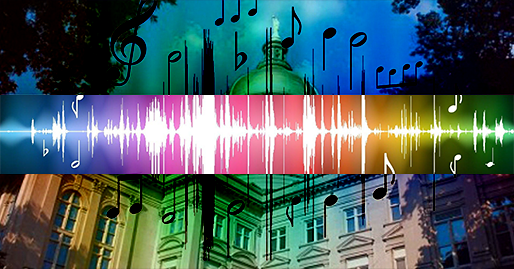 The bill intends to use tax credits and tax exemptions to offer incentive for the growth of the music industry in the state, which would in turn create jobs and bring money into an industry that already generates nearly four billion dollars in revenue. Reeves stated in a press release that “with some focused efforts, we can build on the musical infrastructure already in place to lift the music industry to new heights." "As the entertainment industry continues to prosper in Georgia, the time is right for the music industry to be part of that success. I look forward to leading this effort in the legislature,” he said in the statement. The bill is one of many pieces of legislation in the past few years aimed at developing Georgia’s entertainment industry, which has already seen a rapid growth in the film sector as well as attempts to legalize gambling. Georgia Music Partners is involved with developing the music industry in the state and supported the creation of the bill. Sharma is also a University of Georgia graduate who is involved with school's music business program. “House Bill 956 was designed to be a targeted music incentive to retain the talent that is here in Georgia and also create new job and business opportunities,” Sharma said. "I think that the tax credits achieved through the bill could be a great incentive to attracting more music related work and jobs to Georgia,” said Andrew Reiger, a lecturer in the university’s music business program. “[They will] be very beneficial to musicians already working in Georgia, in the same way that similar tax credits have been very successful in attracting film and TV work to the state." Sharma believes that Athens in particular stands to benefit if the bill is passed. "I think that people inherently want to come to Athens. It’s got a legacy there. If you get a tax incentive, then a band can come easily and record, stay, and actually experience the creative energy there,” she said. Georgia is home to a plethora of well-known musicians and groups from all genres. Alternative rock bands R.E.M. and The B-52s hail from Athens. Soul pioneers James Brown and Ma Rainey came from Augusta and Columbus, respectively. Popular rap artists Future and 2 Chainz grew up in the Atlanta area. The Allman Brothers Band was based out of Macon and Luke Bryan was born and raised in a small town in southern Georgia, called Leesburg. Sharma highlighted that anyone can join GMP, and that an Athens branch will be started soon. “I think that the music community in Athens could be a force to be reckoned with, but you have to bring it all together and unify to find a way to be a little bit more impactful so that city policies can grow it rather than be an obstacle," Sharma said.